Transgenic chickens are of great interest for the production of recombinant proteins in their eggs. However, the use of constitutive strong promoters or the tissue-specific ovalbumin promoter for the generation of the transgenic chickens have different drawbacks that have to be overcome in order to make chicken bioreactor an efficient production system. This prompted us to investigate the use of an alternative tissue-specific promoter, the vitellogenin promoter, which could overcome the difficulties currently found in the generation of chicken bioreactors. In the present work we establish and characterize a DNA construct consisting of a fragment of the 5´-flanking region of the chicken vitellogenin II gene cloned in a reporter vector. This construct is capable of showing the ability of the promoter to drive expression of a reporting gene in a tissue-specific manner and in a way that closely resembles physiologic regulation of vitellogenin, making it an ideal candidate to be used in the future for generation of avian bioreactors. Besides, we validate an in vitro culture system to test the performance of the DNA construct under study that could be used as a practical tool before generating any transgenic chicken. These results are important since they provide the proof of concept for the use of the vitellogenin promoter for future genetic modification of chickens bioreactors with improved characteristics in terms of quality of the recombinant protein produced. This work was supported by the ANPCYT and CONICET through grants PICT 2008-1175 and PIP 112-200801-03201, respectively. The authors gratefully acknowledge the generous contribution of Dr. M. Plano from Tres Arroyos Farm (Buenos Aires, Argentina), who kindly facilitated the fertilized eggs, and thank Fundación Williams (Argentina) and Fundación Rene Barón (Argentina) for their support. This article does not contain any studies with human participants performed by any of the authors. All procedures performed in studies involving animals were in accordance with the ethical standards of the institution or practice at which the studies were conducted. Farzaneh, M., Hassani, S. N., Mozdziak, P. and Baharvand, H. (2017) Avian embryos and related cell lines: A convenient platform for recombinant proteins and vaccine production. 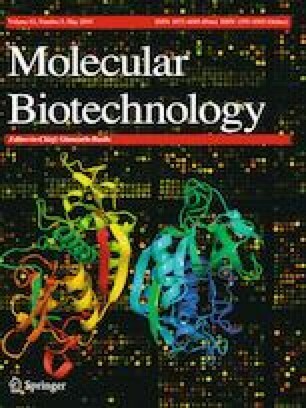 Biotechnol J. https://doi.org/10.1002/biot.201600598.